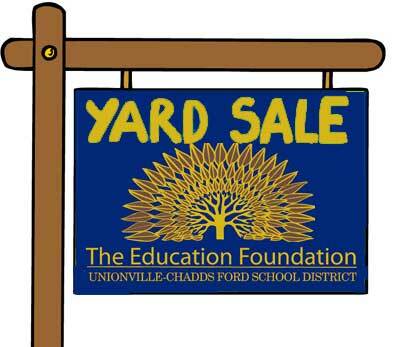 EAST MARLBOROUGH — The foutth annual Yard Sale at Unionville Elementary School will be held on Saturday May 5th to benefit the Unionville-Chadds Ford Education Foundation. The event starts at 8:30 a.m. and runs through 12:30 p.m. 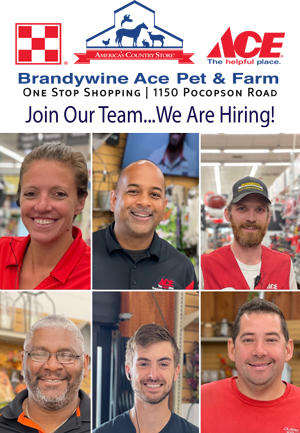 Proceeds from the sale go directly to support educational projects and programs for the students of the Unionville Chadds Ford School District. Local residents are asked to support this annual tradition which features a wide range of goods. 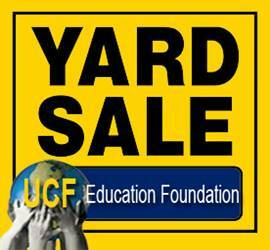 If you would like to sell your own items, you may rent a table for $30 or you may drop off items at Unionville Elementary between 3:30-6pm on 4/27,5/2 and 5/4. Please email Alicia if you would like to have your items picked up from your home or if you would like to rent a table.